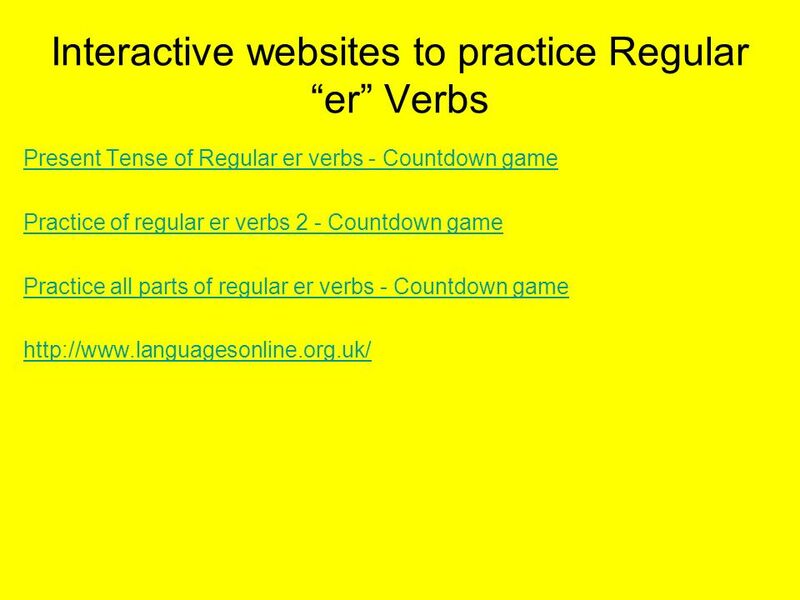 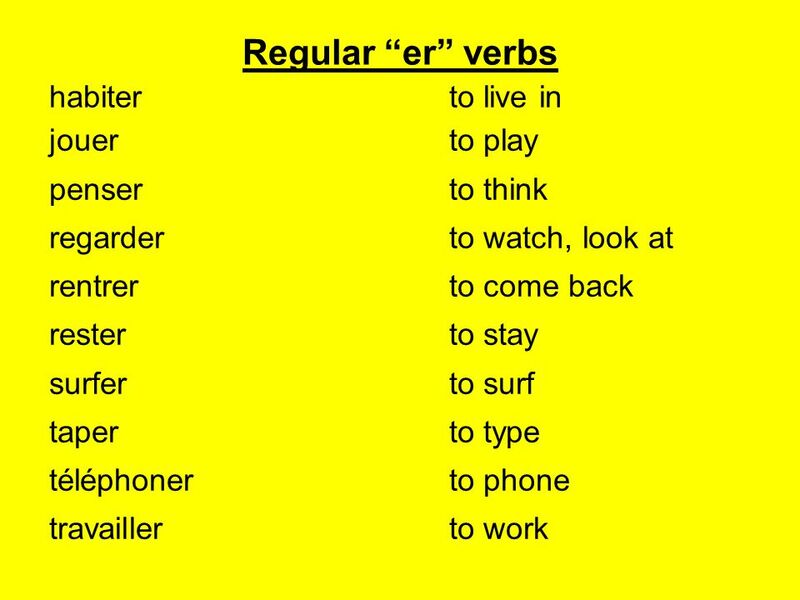 Download ppt "Regular “er” verbs To conjugate a regular “er” verb"
Regular er verbs To conjugate a regular er verb 1)Remove er from the infinitive (the name of the verb) to give you the stem. 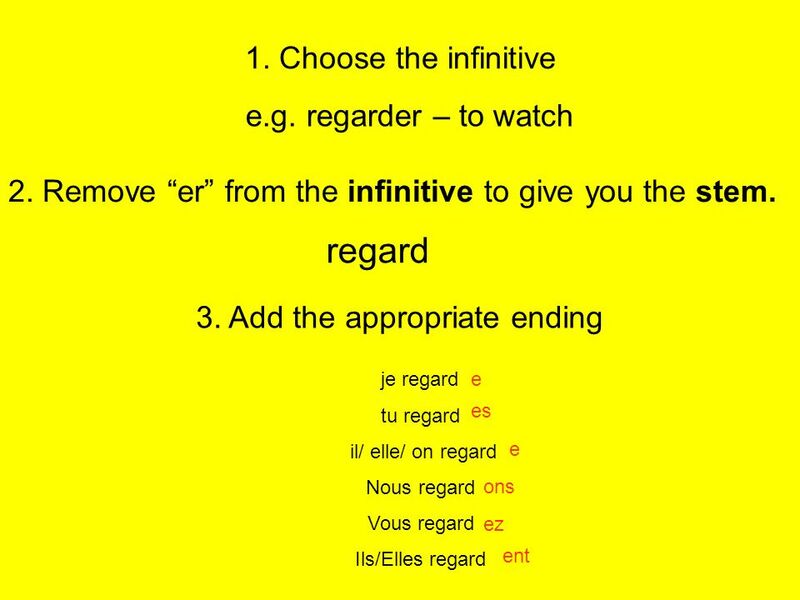 2)Add the correct ending e.g. 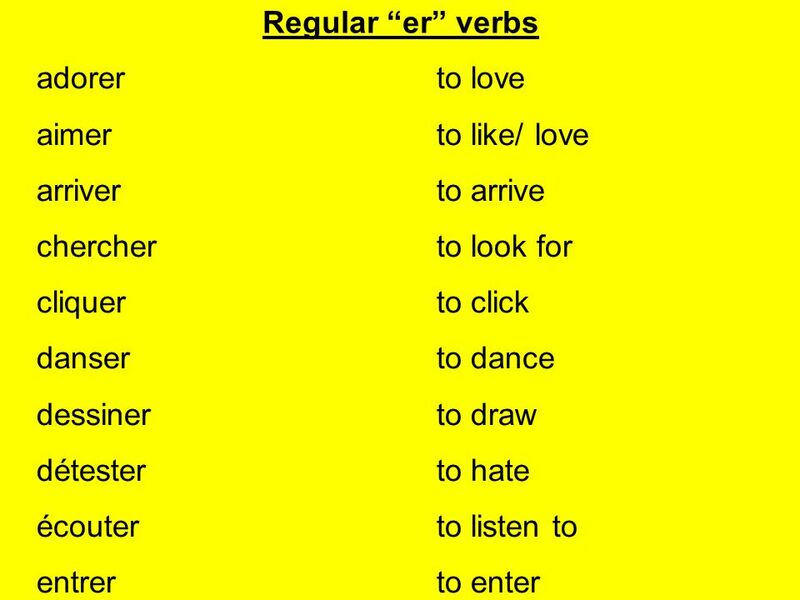 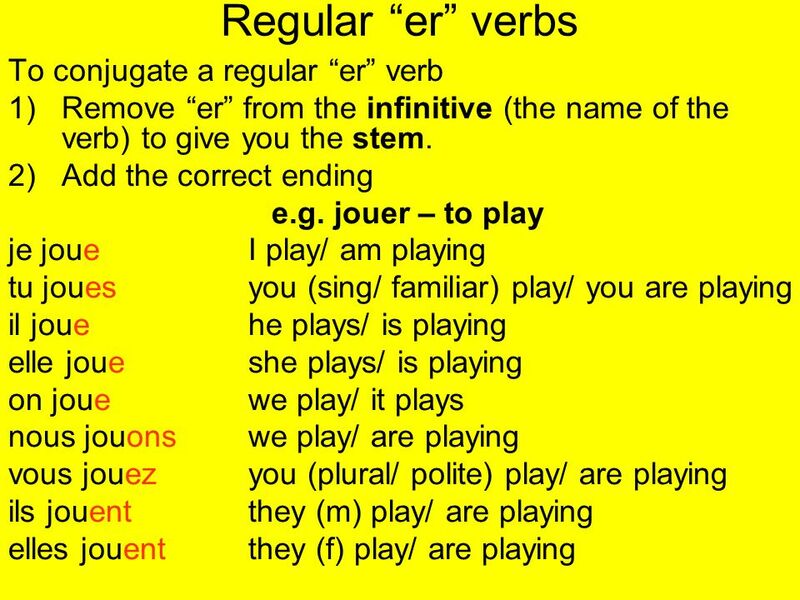 Regular -er verbs All Regular -er verbs end in -er Parler - to speak Dîner - to dine or eat dinner Jouer - to play Étudier - to study.